Malcolm Charles, 7 lbs, 8oz, 19 1/2 inches long. I knew it. I knew it! I had a feeling that my last post about sitting around, waiting for the baby would essentially be an invitation for labor to start! I almost didn’t post it at all because it kind of felt like taunting the labor Gods. Lo and behold, within hours of publishing that post, labor started. Not long after that, Malcolm Charles was born! 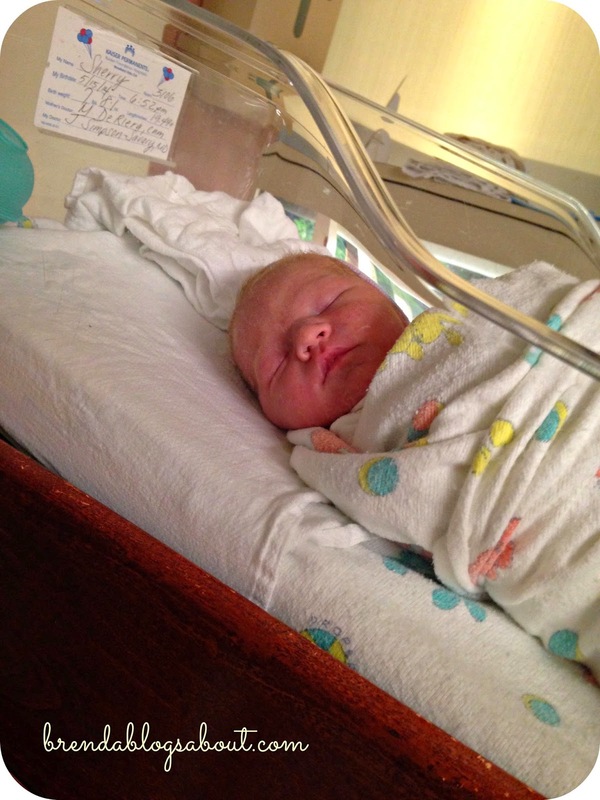 This labor experience could not have been more different than with Guinevere. They always say that the second baby arrives faster than the first. Considering I had a 3 day long induction with Guinevere, I figured just about anything would be faster. 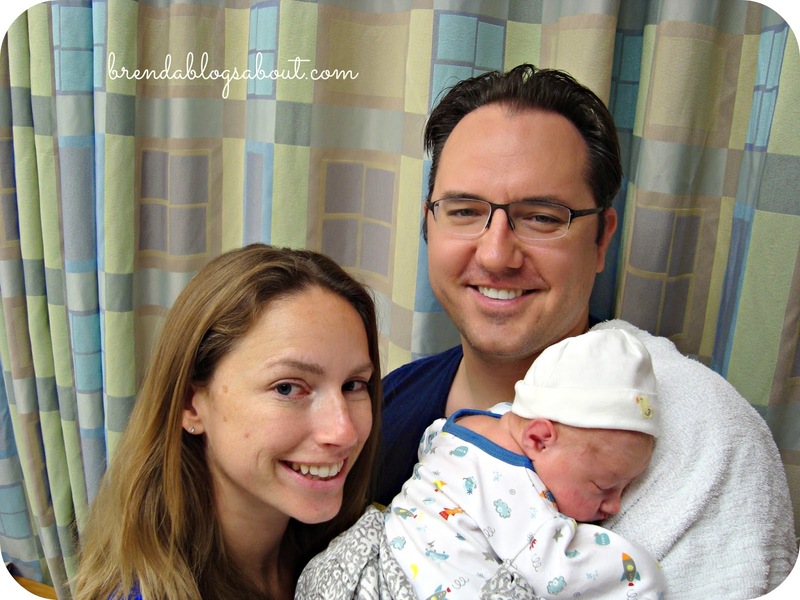 I had no idea that I would go from a 3-day induction to a 3-hour (in total) labor! I felt the first contraction around 3:30 in the afternoon. This time it felt different than any of the pre-contractions I had been having. All of the pre-contractions were more focused on the top of the belly, whereas these new ones were lower and felt almost more like intense period cramps. I decided to start timing them around 4. By 4:30, they were getting more intense and coming every 4-9 minutes. I texted Aaron and asked how quickly he could get home because my contractions were starting to get painful. Oh, did I mention that I was home all by myself at the time? When Aaron hadn’t gotten back to me by 4:45, I called him and asked him to come home now because I was pretty sure I was in real labor. He got in his car and raced from Pasadena as quickly as Thursday afternoon rush hour traffic would allow (of course, I would go into labor at rush hour on a Thursday!) I called our housemate, Whitney, to pick up Guinevere from daycare for us. At that point, crazy me was considering picking her up myself. So glad I didn’t attempt that! Once I knew Whitney would get G, I decided to take a shower while I waited for Aaron to get home. I’d heard that helps with labor pains. I’m not sure it actually helped, but I was glad to have to opportunity to show up at the hospital feeling clean. I even shaved my legs! Once Aaron got home, I was in some serious pain! It was to the point where each contraction nearly sent me into a ball on the floor. I tried breathing through the pain – much easier said than done! I said to Aaron, “I don’t know how women do this without drugs! The moment we get to the hospital, I’m going to ask for the drugs!” Up until this point, I had been thinking I might try to give birth without drugs . . . mostly because I wanted to know what actual labor pains felt like since last time around I was already drugged up by the time hard labor began. The drive to the hospital was one of the most painful experiences ever! Every bump and turn sent shooting pains throughout my body. My contractions had progressed to 2 ½ minutes long every 3 minutes – i.e. I had 30 seconds between contractions. They saw the state I was in and quickly ushered me into a labor room. At this point, things kind of become a blur. I remember a team of nurses stripping my clothes off of me, and giving me a hospital gown. They were trying to ask me admission questions in the 30 seconds in between contractions as well as give me an IV and hook me up to the monitors. They asked me my opinion on pain meds, and mumbled something, which was intended to come out as, “Well, I originally didn’t want them, but now I do.” I know it must have come out super garbled because I heard Aaron say, “Yes. Yes, she wants them.” They sent someone out to go get the drugs for me while a midwife came in to check and see how dilated I was. I was already 9 cm dilated!!! They said, “No time for drugs. You are having this baby now.” I was equally terrified and relieved. I would finally have the drug free birth that I wanted with Guinevere . . . but that meant I had to actually go through with pushing a baby out of my body without drugs! Kaiser was very busy the day Malcolm was born. When we checked in, all the delivery rooms were either in use, or in the process of being cleaned from previous births. The nurses realized we did not have time to wait and said we would have to deliver in the labor room. They got the bed I was already in ready for a delivery and I felt my water start to break. I warned everyone that my water was breaking, but they must not have heard. Next thing I know, my bag of waters literally exploded all over the midwife’s face! It was like something out of the movies! I had no idea that could happen! I will forever laugh about that as one of the most surreal moments of my life! At that point, the urge to push became overwhelming. I can’t quite describe the feeling, but it kind of feels like you have to poo really badly. Also at this point, one of the delivery rooms became available. So they wheeled me into the delivery room. As soon as we were in there, they told me to push. I don’t know that I will ever be able to adequately describe the feeling of pushing a baby out of my body while being able to feel every moment. It was amazing and painful all at the same time. You kind of feel like you are being ripped open, but there’s no turning back. You can’t change your mind at this point, so you have to keep going, knowing you will meet your baby when it’s all over, knowing that the female body was designed to do this. I was sweating and shaking, and suddenly I had my squishy, goopy, slightly purple baby lying on my chest and it was all over. There was a HUGE rush of hormones and endorphins and relief at the end! It is one of the biggest highs I have ever felt in life! I think it’s nature’s way of ensuring that women will have more than one baby. There really is such a thing as pregnancy amnesia. I know labor was super painful, but the moment it was over, that rush of joy/excitement/relief/love erased much of the previous hours of pain that I had experienced. Of course, it also helps that it was a VERY fast labor. To recap the timeline: 3:30 felt the first contraction, 4 started timing, 6:30 checked into hospital, 6:52pm Malcolm was born. We are now home and adjusting to life as a family of four. More updates to come soon, including how Guinevere likes her baby brother. The three of us, just before leaving the hospital. Wow!!! I really want to feel real labor pains too. I've been induced with both, but I almost wish I hadn't been with Axel. But even being induced I had such a better experience with my second delivery than my first. And it only took five hours. Maybe next time I'll have a baby as quickly as you did. This is a great story! And congrats on the new baby!!! It's an adjustment but SO WORTH it when they start to play together. Congrats! I love hearing birth stories!